Dear Aspirants, Today we are sharing Algebra Hand Written Notes for SSC CGL. This pdf is very useful for upcoming examinations like SSC CGL, CHSL, MTS, Stenographer, RRB, IBPS, Bank Exam & other common written examinations. This notes is prepared & compiled by gyan singh and credit goes to him. Friends, don’t forget to share it with your friends. 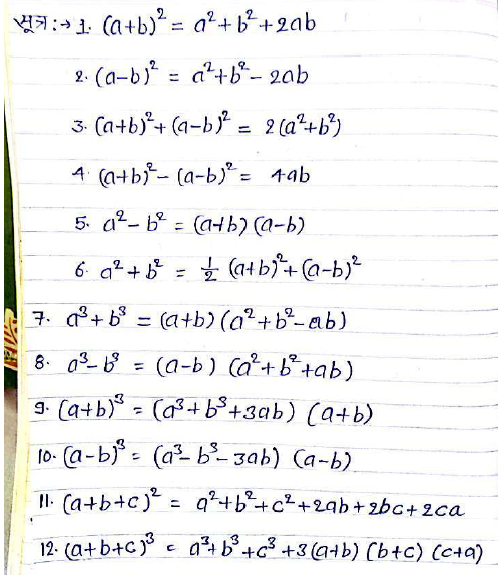 You are advised to download algebra pdf from the link provided given below. Friends don’t forget share it. Sharing is Caring……………..All the Best.